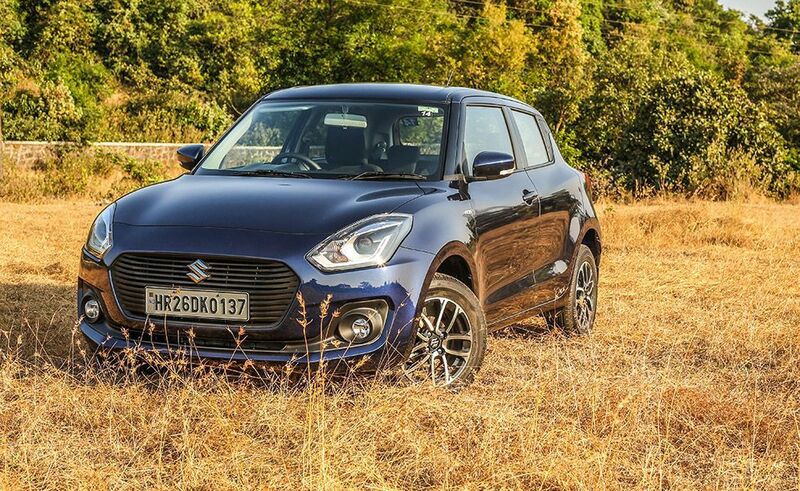 Maruti Suzuki’s Swift has been a best-seller right since the first-generation model made it to India back in 2005. There’s no denying the fact that the Swift has a massive fan following, thanks to its sporty looks and fun-to-drive characteristics. 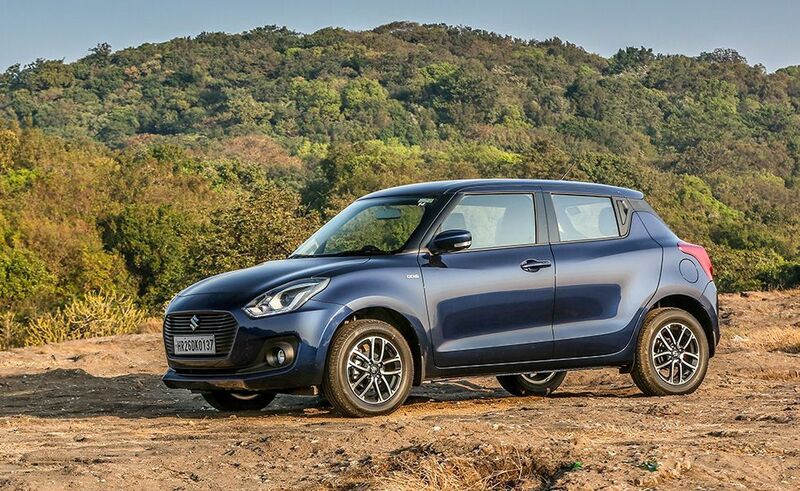 With the third-generation Swift, Maruti Suzuki intend not to tamper with the old formula; instead they’ve made it better by making it more efficient, better equipped and of course, more roomier than ever before, as we find out further in our Maruti Suzuki Swift review…. The Swift has always looked the part. Right from its first-generation, sporty and compact silhouette to its somewhat sharper and improved second-generation shape, and now this. The third-generation Swift boasts of swept-back headlamps, and an open-mouthed grille in our Maruti Swift review. There are even LED DRLs inside the distinctive cluster, and the top-end model gets projector headlights. The new Swift is also wider, and that floating roof design is now becoming common on a lot of cars. For those looking for the rear door handle – it’s placed in the C-pillar, which gives the Swift three-door hatchback appeal. At the rear, the tail lamps are wrapped over the rear haunches. However, the 15-inch wheels are a bit of a disappointment, as they look a touch too small. Inside the cabin, the Swift gets an all-black colour theme with some grey plastic accents. You’ll also notice a new instrument cluster with twin binnacles housing the speedometer and tachometer. We’d rather pick the Swift’s interior over the Dzire’s, as the latter’s is a bit overdone with the beige-and-black and the faux-wood inlays. The central AC vents are circular, and the knobs for the climate control feel good to touch. Some of the features include auto headlamps, keyless entry and go, automatic climate control, dual airbags, rear-view camera, ABS, a 7.0-inch touchscreen unit with Apple CarPlay, Android Auto and a whole lot more. Up-front, the driver’s seat is height-adjustable, large and provides sufficient support. We’re also big fans of the sporty, flat-bottom steering that feels nice to hold. Space at the back has improved, with decent amounts of headroom and legroom for the occupants. 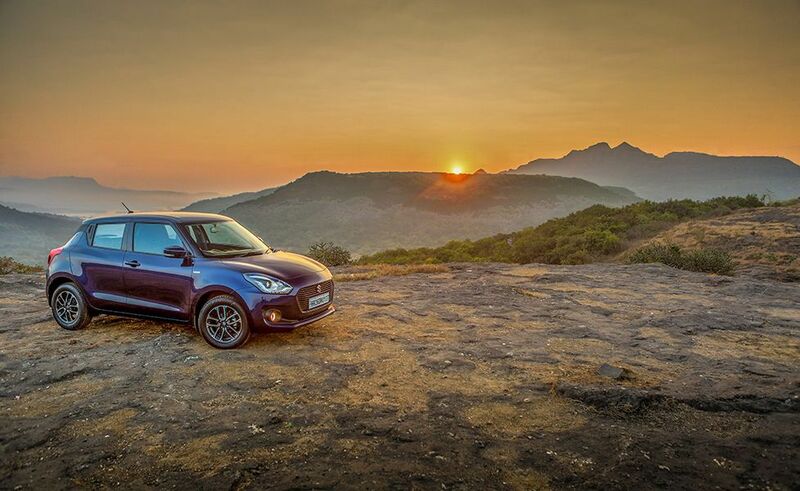 Powering the new Swift is the tried-and-tested 1.2-litre, K12 petrol engine that makes 82bhp and 113Nm of torque and the popular 1.3-litre, Multi-jet diesel engine that produces 74bhp and 190Nm of torque. 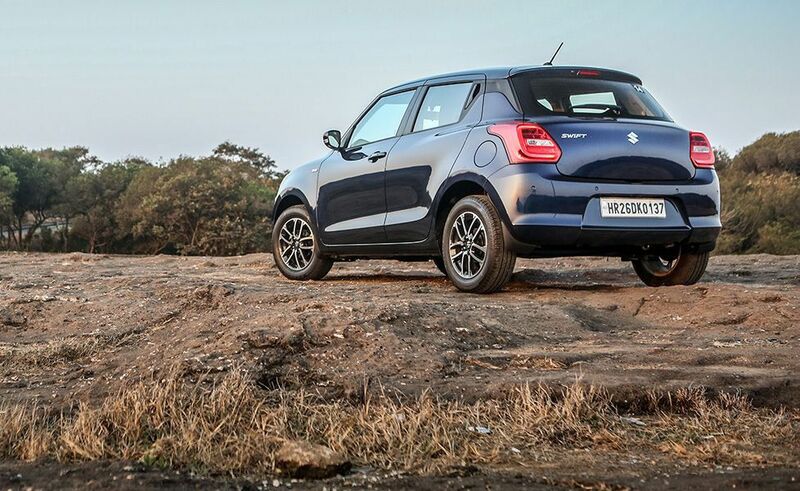 And thanks to the new Heartect platform, the new Swift weighs 85kgs lesser than the car it replaces. Both engines can be had either with an AMT gearbox or a manual transmission. The petrol engine is nice and responsive and it loves to be revved. While the 5-speed manual is a hoot to use, it’s the 5-speed AMT that’s more suitable for city commuting. But of course, there’s no getting away from the fact that the automatic gearbox results in some jerking that isn’t always a pleasant experience. However, we can sense some fine-tuning done to the gearbox, compared to a few other Maruti models. The same gearbox on the diesel results in more jerking, and then there’s the turbo lag. We had expected the rigid chassis to allow for a more involving drive experience, but unfortunately, the new Swift’s steering feels rather lifeless and is nowhere close to what the original felt like. As for the ride quality – well, it’s a little on the firm side, but as you build speed, things smoothen up a bit. As mentioned in our Swift car review, dynamically, the Swift might have lost some of its sheen, but that doesn’t come in the way of it being a successful formula. Priced between ₹ 6.96 and ₹ 8.29 lakh, it still looks sporty and chic, has more space on the inside, comes with a longer features list and still retains its peppiness, as stated in our Swift review. Do look out for our in-depth Suzuki Swift review to find out more. How to diagnose and correct out-of-round tyres?